Content Marketing! Now it is something that is that is enough to not only establish your company as a thought leader in the market but also increases your conversion rate. 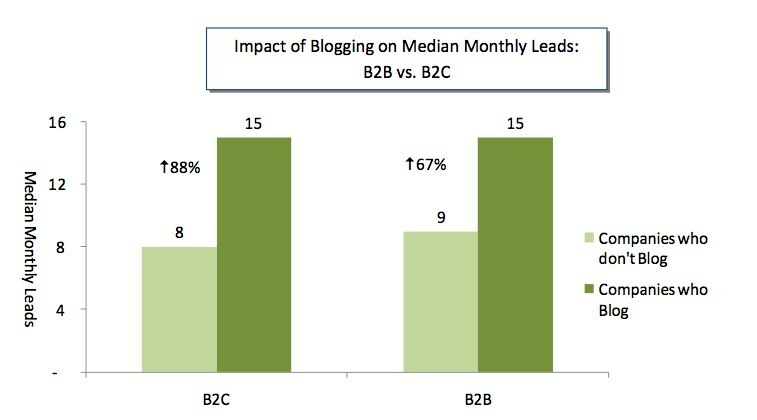 If the statistics are anything to go by, blogging consistently has led to B2B marketers generating 67% more leads than marketers who do not. But is content marketing confined to writing a couple of blog posts every month? No, not really. Content marketing is actually a lot of work and requesters a heck lot of persistence and consistency. But along with persistence and consistency, you need to be armed with some stellar content marketing tips to take you through the whole process with ease. Have a look at these content marketing tips that will help you convert prospects into the final sale with considerable ease. We have been hearing about blog posts for a while now. Thus all of us know how indispensable they are. That said, there’s something even more effective to write, that is case studies. In fact, if done right, case studies can turn out to be more effective than regular blog posts, webinars and more combined. A B2B Marketing’s survey revealed that 66 per cent of the 112 B2B marketers surveyed said case studies were ‘very effective’, while 32 per cent said they were ‘quite effective’. This clearly proves the potency of case studies. Why case studies are so effective? For one, unlike a regular post, case studies give the audience an insight into your workspace, work culture and how you function. Secondly, when a company builds their case study around their success story or talks about how they helped so and so client, it acts like a detailed testimonial or social proof. 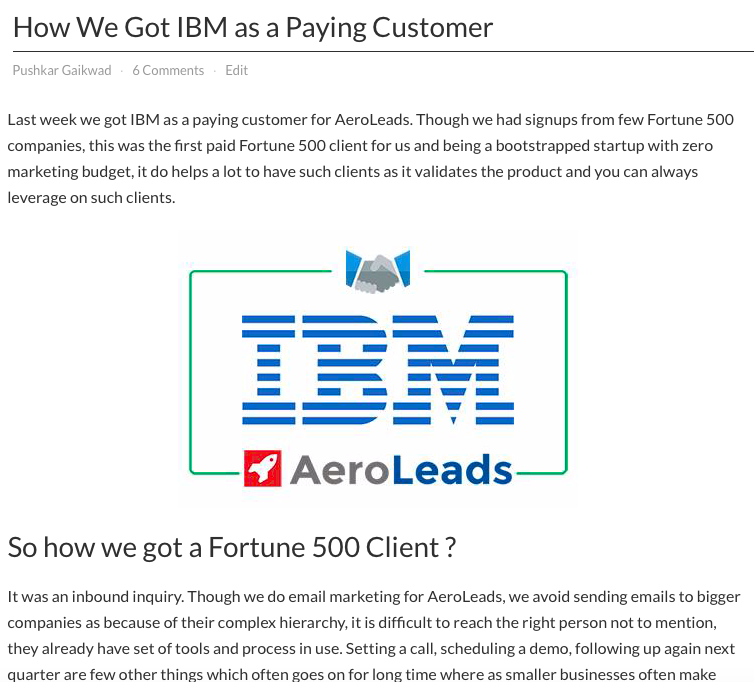 We, at AeroLeads, published a case study about “How We Got IBM as a Paying Customer“. This case study worked as a social proof and a testimonial focusing on how we acquired such a high profile company. Now, as the case study signals that we are handling a high-profile client like IBM, this proved our mettle in the industry ensuing in wonderful results. Is this plight familiar? Are you also inflicted by this problem? Then maybe, the problem is with your webpage, not your content. Does Your Blog Page Contain Too Many Distractions? I know the temptation of adding everything – from pop-ups to subscription form – is hard to beat. But have you ever thought of the whole layout? What if it seems too distracting and over the top? Initially, it may seem like a shortcut for more leads, but it is bound to backfire eventually because the visitor may get distracted to read the content properly. 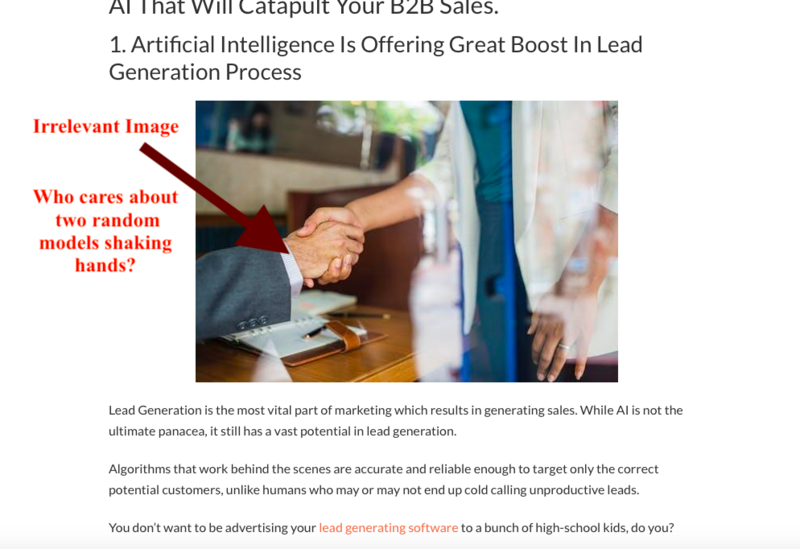 For one, the blog page is completely cluttered with random and ads and pop-ups which makes it difficult for the visitor to focus on the content. I am afraid, I’d have to be a bit blunt here but here’s the deal – you are better off with no photos at all than using bad, pixelated photos. Either use stock photos from various platforms like iStockPhoto or use free royalty free images from pexels, Unsplash and more. Now, that said, I would recommend to not use stock photos at all because truly no one cares about photos that are beautiful indeed but do not contribute to the content in any way. I don’t want to see a random hand-shake. Who does? While the image is aesthetically nice to look at and is not pixelated or anything, but the image contributes nothing to the content. In fact, it wouldn’t have made a difference even if the image wasn’t there, right? Either way, the viewer is simply going to skim past the image. 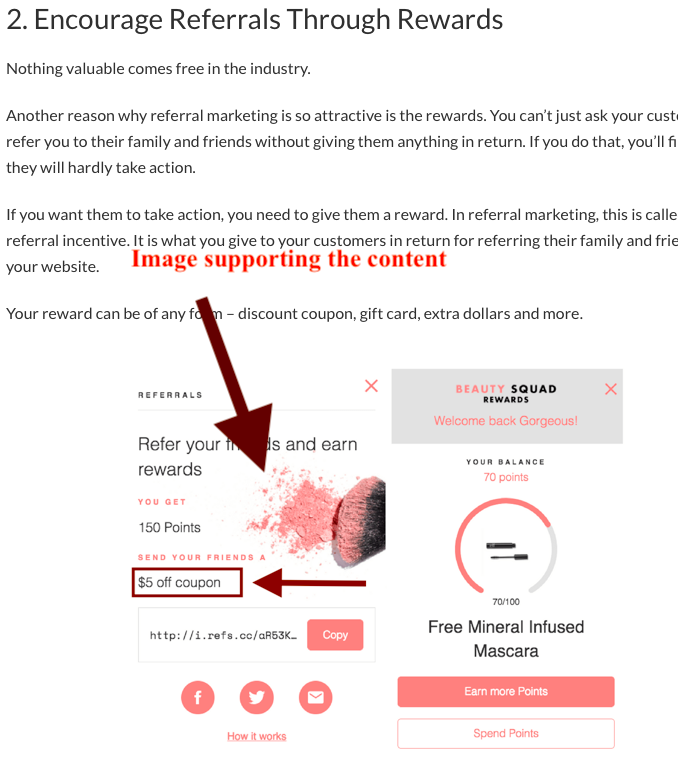 The content talks about referral strategy and the image very aptly tells the viewers what sort of referrals are mentioned in the content. Now even if the viewer didn’t pay heed to the written content, they still would have gotten the gist of the content just by looking at the image. So use something relevant and useful, or use nothing at all. What if your blog post did not get as much traffic as you expected? This means the message you wanted to impart did not get through the first time. But that’s okay! You can always repurpose your content and spread the message again plenty of times. The main advantage of repurposing the content is that you don’t have to research again. The research is done the first time, now you just have to convert your lengthy post into an infographic or a powerpoint presentation. 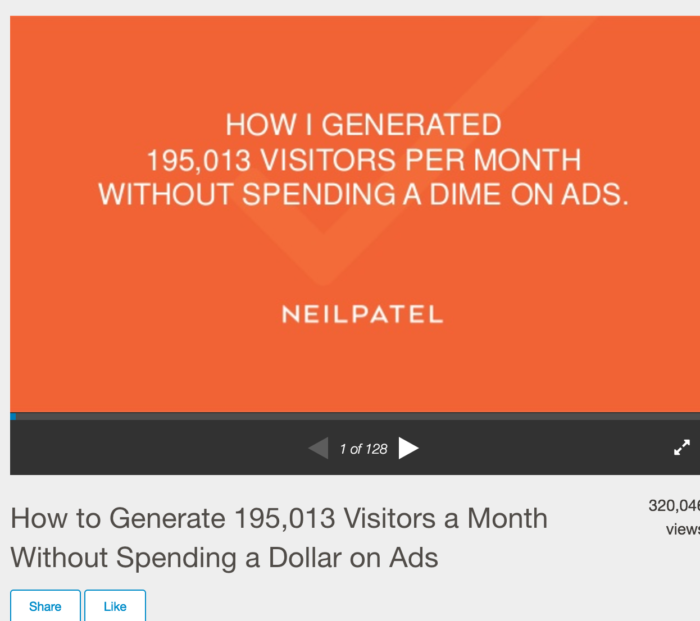 Neil Patel, an expert marketer, created a SlideShare by repurposing one of his blog posts. If the audience sees your SlideShare and finds it interesting enough, they will automatically come to your actual blog post. SEO and content marketing is the best strategy one can leverage to ensure that your content ranks well on Google. From optimizing your posts for specific keywords to other technical aspects of SEO, all these strategies along with informative content can do wonders for your content marketing. But it is worthy to note that the main point here is to create useful content to align with your strategy. 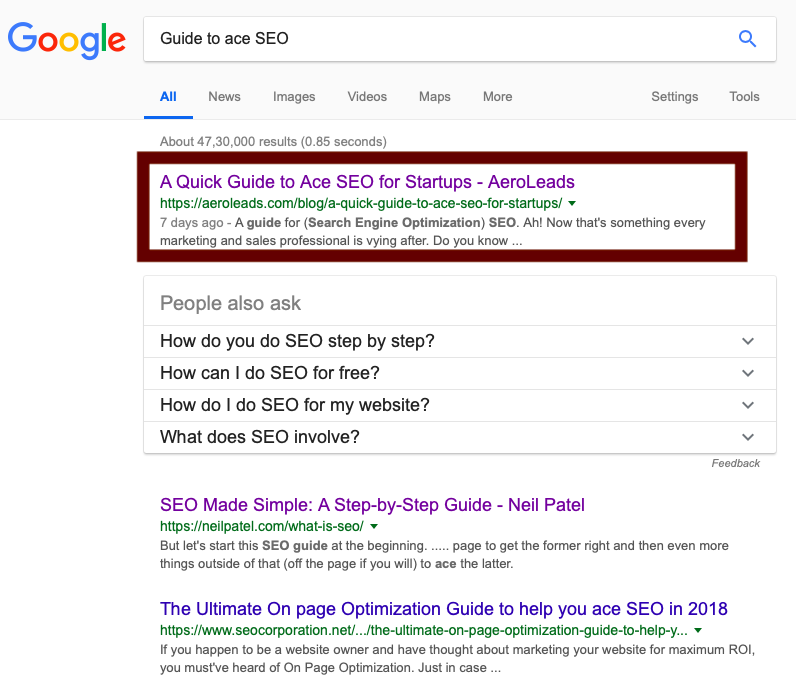 Have a look, when one searches for “guide to ace SEO”, this ranks on the first page of Google. The content shows up on the top position in the first page because Google thinks that the content is valuable and credible. Guest Blogging is one way to garner additional attention for your content. But it still requires a lot of networking back and forth, plus you will have to navigate the whole industry to select the right platform. A considerably easier way is to use Medium, a great place that already gets a lot of traffic. Look at Medium’s Alexa Ranking – it ranks at 223 globally and 142 in the United States. On Medium you will be submitting your content to an active community. Plus, you can repurpose your article and write a smaller version on Medium with links redirecting to your official blog. You can only have a limited outreach, so why not collaborate with other brands to target their audience as well? 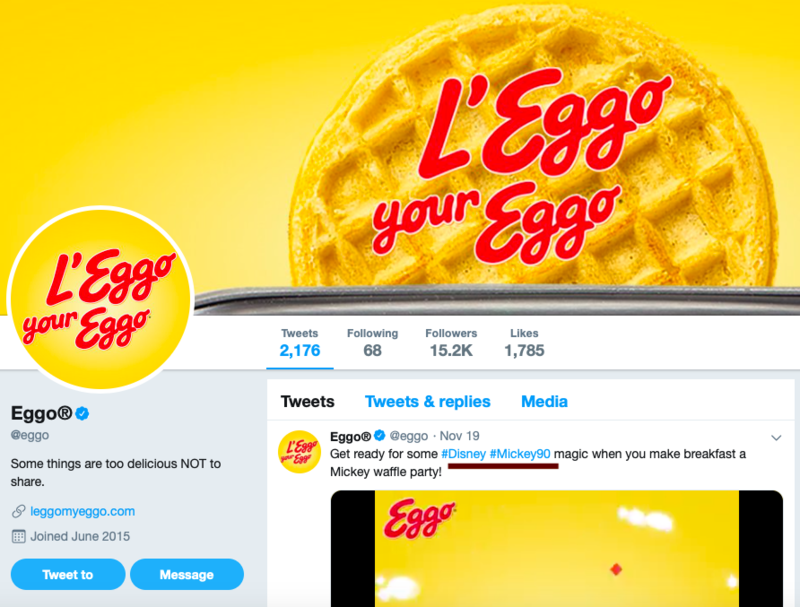 When you collaborate with other brands, it helps you double your outreach. Similarly, you can collaborate with like-minded brands using podcasts, webinars, social media content and more. These are some of the most effective, not to say proven Content Marketing tips. Make sure that the content is working for you as hard as possible through content syndication. By pushing your content out onto related third-party sites, content syndication increases exposure to your brand, boosts traffic to your website, and leverages every possible opportunity to grow your business. What content marketing tips are you using for your brand engagement? Excellent article for a solid approach to creating a bulletproof content marketing strategy. I especially like your tips on promoting your content. Stellar content takes time, but equally promotion does as well. Well done, Vedh! Cheers! Thank you very much @PureResiduals:disqus . These are really excellent tips regarding content marketing.Research shows the vast majority of marketers are using content marketing,it is incorporated with many other marketing strategies such as social media,email marketing etc.Our marketing team is using an hybrid email marketing approach with a tool named Easysendy pro and following various practices on content marketing.